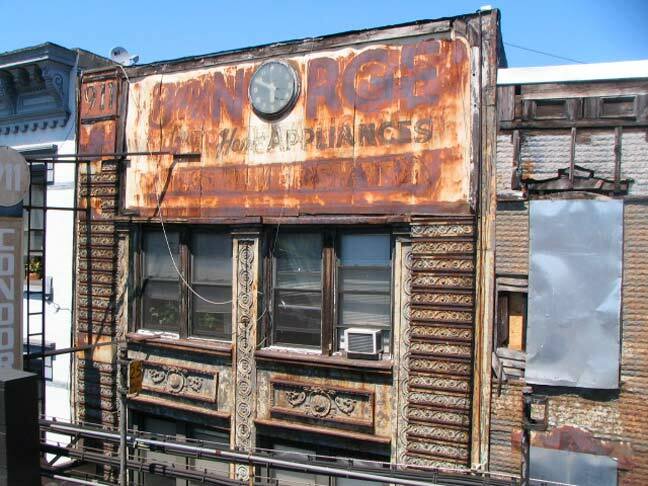 This ad for Norge Appliances, seen from the Myrtle Avenue platform on the Broadway el in Bushwick, has probably been there since the World War II era, and the clock has probably been stopped almost as long. (Norge is what Norwegians call their home country.) The brand has since passed through many hands. Can a person still buy a Norge washing machine? If so where can one be purchased? Anywhere in Canada?